Thanks to all who joined us for this wonderful performance! We will be announcing our summer show in just a few weeks. Stay tuned for audition and performance details. Join Opera del West for an evening celebrating female Composers. Our prelude will be a set of Art Songs by women: Pauline Viardot Garcia, Clara Schumann, Amy Beach and Libby Larsen. 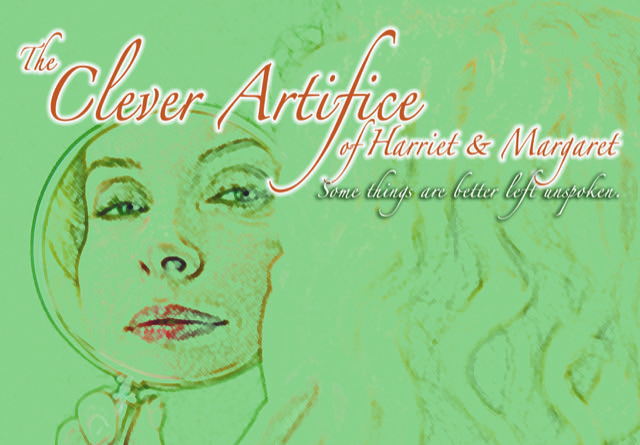 Then we will perform the New England Premiere of Leanna Kirchoff’s one-act opera, The Clever Artifice of Harriet and Margaret. Winner of the 2014-2016 National Opera Association Chamber Opera Competition, this work depicts a cat and mouse conversation between two women sharing what seems to be a polite tea, shadowed on stage by two other singers playing their inner selves interjecting truthful commentary. A wonderful way to celebrate National Women’s Month. Sung by Erin Merceruio Nelson, Laura DellaFera, Elena Snow and Stephanie Kacoyanis. Directed by Brenda Huggins and Music Directed by Eve Budnick. * Naturally your email address is required, and we’d like to know your name and town as well so that we know where our friends are. You will get an email for each newsletter you subscribe to, and you will need to confirm your subscription via that email before you will receive our newsletters. Opera del West is a nonprofit 501(c)(3) corporation. Donations are tax deductible.